Linda Torrence, is an executive with broad management experience ranging from marketing and communications, strategic planning and human resources in a variety of industries including broadcasting and cable television. She is currently the Director of Community Affairs for FOX 5 Atlanta television. Previously, she was President and managing partner of Belcher-Torrence, Regional Director of Human Resources for a Canadian-owned cable television station and Vice President of Marketing & Communications for PIC. A recognized and respected community leader, Torrence has served on numerous boards such as the DeKalb Chamber of Commerce, The Atlanta Chamber of Commerce, The American Heart Association and, Grady Health Systems Foundation. 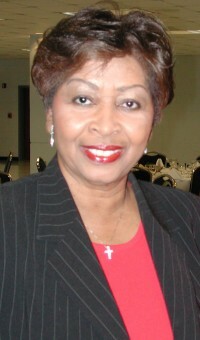 Some of her current affiliations include the Boys and Girls Clubs of Metro Atlanta, Emory University Rollins School of Public Health, Georgia Partnership for Excellence in Education, Georgia’s Commission on Women and Georgia Women’s Institute. Because of her vast experience, Torrence has been the recipient of numerous awards and honors as well as profiled in several leading magazines. Adding to a long list of accomplishments she was Founding President of the Oregon based Walker Institute and host of “Women In Focus” her own television show. A graduate of Arkansas Baptist College, she is married to Joseph Phillips and mother of three children.